Soccer is my favorite sport to watch. I imagine that if I had been an athletic child, soccer would have been my sport. So, when we decided to start the kids in formal sports I got excited about watching them play soccer. 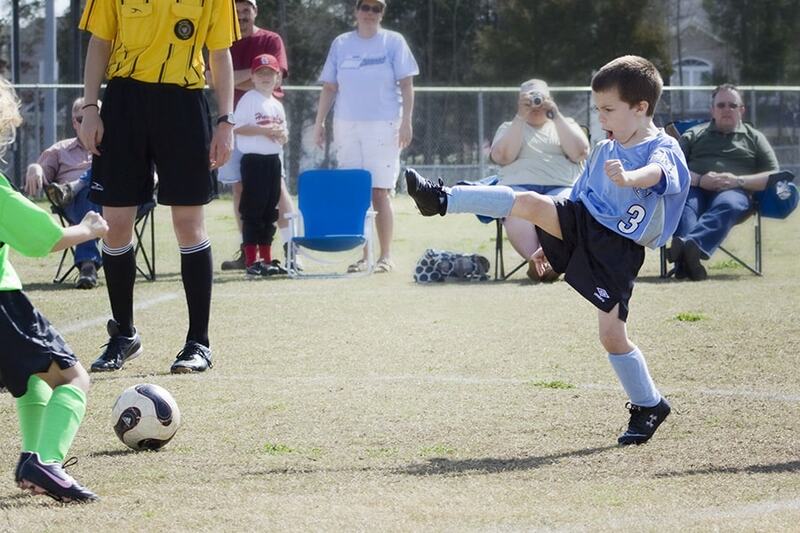 I dreamed of years and years of sitting on the sidelines cheering for my little soccer players. Fans get to sit right by the sidelines and there are no chain link fences in the way of a perfect view–it’s the ideal sport for the children of a photographer! However, it seems that soccer just isn’t the right sport for my children. They play decently in defensive positions but struggle in offensive striker positions. At first, I thought it was just a girl thing, but Michael is having similar problems. Even though he’s fast enough to get to the action he will not get in there and take the ball from another player. It suddenly dawned on me that I stress fairness, taking turns, and sharing then, I stick the child in soccer and start asking for the complete opposite! Suddenly aggressiveness is expected and forcibly taking the ball is required! No wonder that striker position is so difficult. It must be confusing! 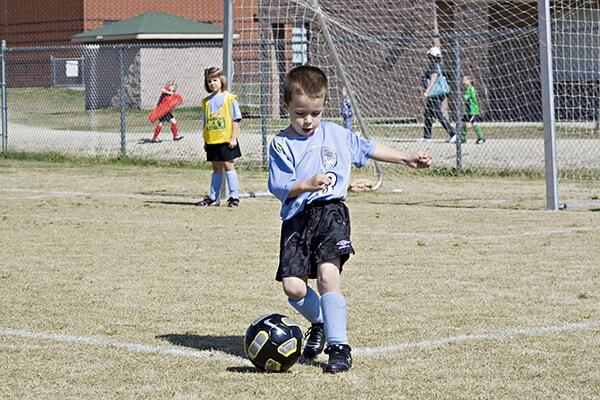 Thankfully, Michael is having fun playing soccer even though he is doing little more than running around the field. He wants to try different sports in the next few seasons before choosing one. 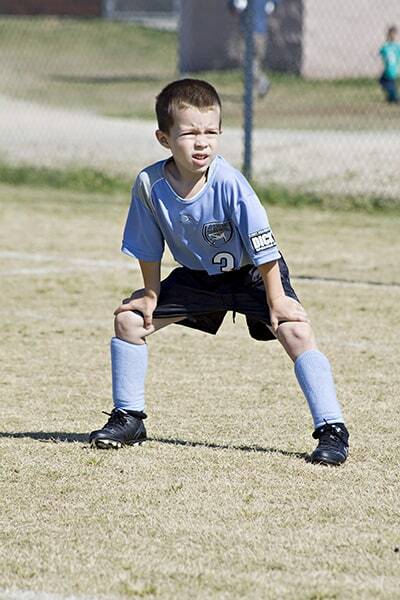 I am sure that if he chooses soccer as an older child he will be able to learn the aggressiveness needed to play and will be an excellent player–until then he’s just going to smile and run in circles!